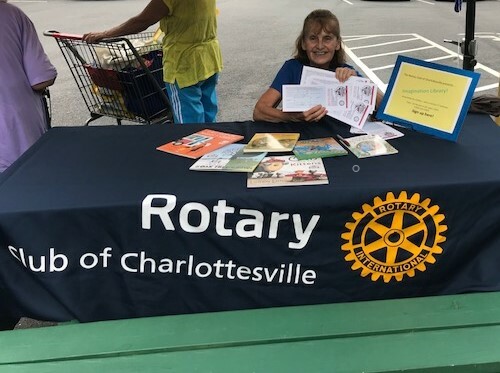 Rotarian Susan Thomas visited Loaves & Fishes to tell moms about the Imagination Library. She signed up 8 moms and a total of 10 children. She gave each mom a book for her child - and they were delighted! Each child will receive a book every month until their 5th birthday. Our club is proud to collaborate with the Dolly Parton Foundation on this project. Children living in ZIP codes 22901, 22902, and 22903 are eligible to participate in this project.